Snow White lived in a cottage. Goldilocks found the perfect chair, bowl of porridge, and bed in one. Who wouldn’t want to play in a cottage? The Adventurous Child Cottage Playhouse lets children write their own story with plot twists, surprise endings, and cliffhangers that won’t be resolved until tomorrow’s recess. 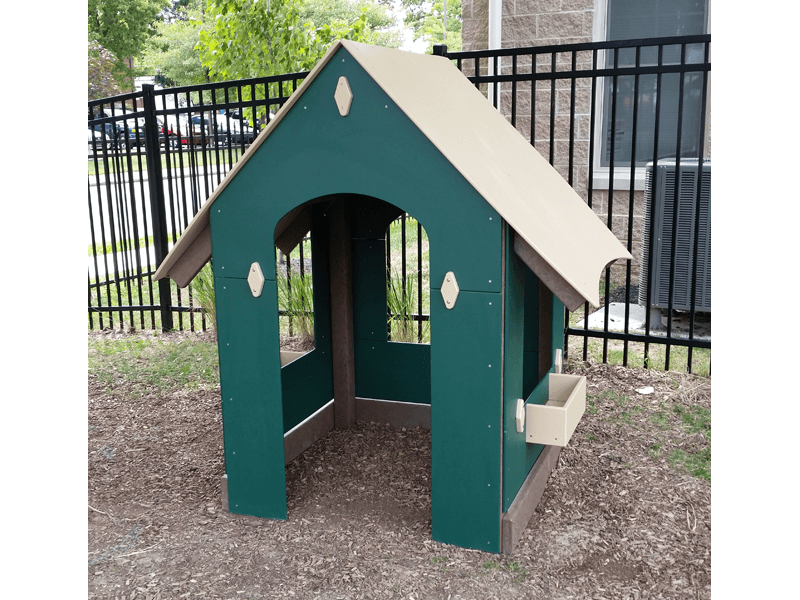 Check out the extra-large Playhouse, if you are interested in a Playhouse that children can ride through in wheelchairs, tricycles, and other vehicles.